By Chris Russon on 2018-06-13 - The driving force behind Eurekar. Chris heads up a team of motoring correspondents under the Driving Force banner. Prior to Driving Force becoming independent in 2010 he was Chief Motoring Editor for Trinity Mirror Regional newspapers. Chris has been writing about cars for almost 40 years. 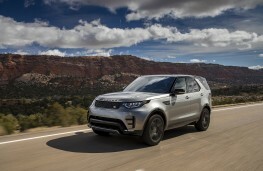 A NEW 3.0-litre twin turbo engine is being fitted to the Land Rover Discovery along with the latest driver assistance systems. 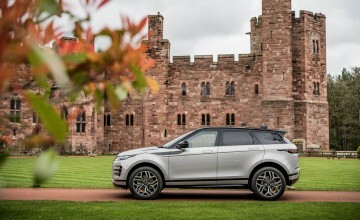 Just days after it was revealed that production of Land Rover's biggest model was switching from the UK to Slovakia, the company has announced updates to the model. The new 3.0-litre V6 diesel engine, badged SDV6, produces 306hp and 700Nm of torque. It is capable of powering the Discovery from 0-60mph in 7.0 seconds and delivers relaxed cruising refinement and a certified towing capacity of 3,500kg. 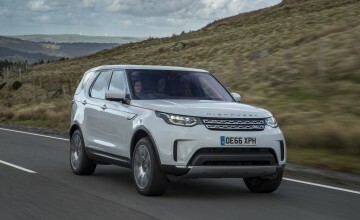 All Discovery powertrains will also come equipped with particulate filters to make them cleaner. On the safety front, the Discovery now comes with a clear exit monitor, which alerts the driver and passengers if vehicles, cyclists or other hazards are approaching from behind when exiting the vehicle. If an obstacle is detected then a warning light will flash on the door alerting occupants. Changes to the car's adaptive cruise control now includes stop/go function which maintains the driver's selected speed when safe, but also automatically adjusts it to maintain a predetermined distance from the vehicle in front. The technology can even smoothly stop the vehicle in heavy traffic and, if the traffic moves again within three seconds of stopping, automatically resume and follow the car in front. 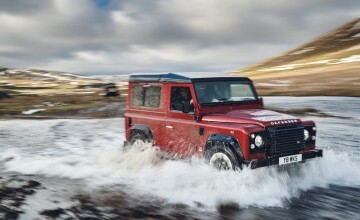 Land Rover has also simplified the process for customers specifying their vehicle with safety features now split into three packages; Park Pack, Drive Pack and Driver Assist Pack. The new models cost from £47,405.